Browse our other sizes of solid wall mount shelves. Since these solid metal shelves are made of 12 gauge aluminum, they are both incredibly durable and lightweight. 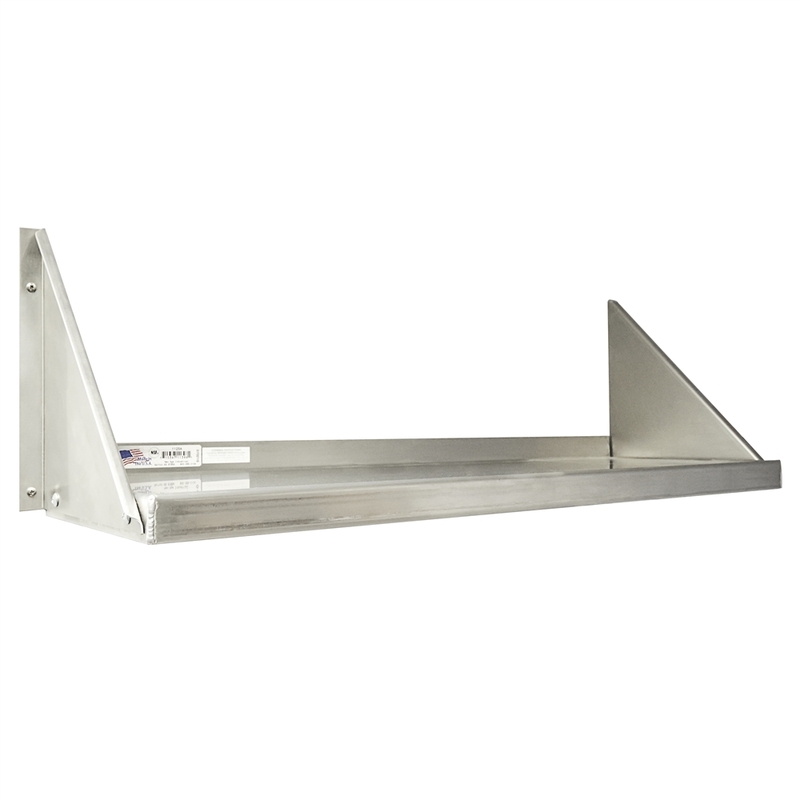 These NSF approved steel shelves perform like stainless steel and save on cost. 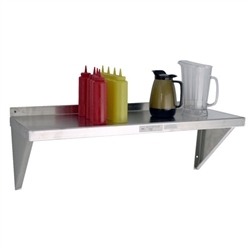 Ideal for commercial kitchens in the food service industry as well as hospitals and other facilities in the medical field. Place these sturdy shelves above sinks, stoves, and prep tables to provide your employees with quick access to the tools they need to get the job done.